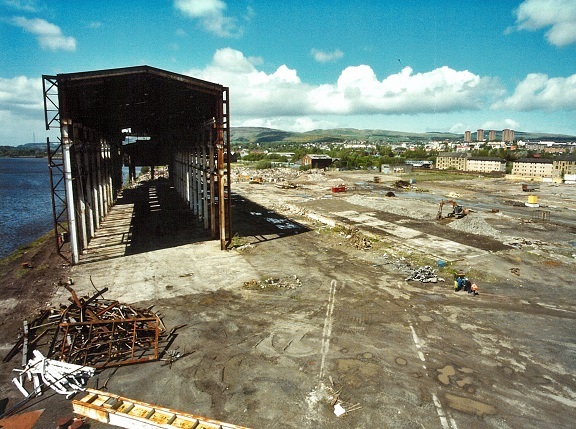 Central Demolition Limited were awarded the contract for the demolition of the former John Brown Shipyard in Clydebank. 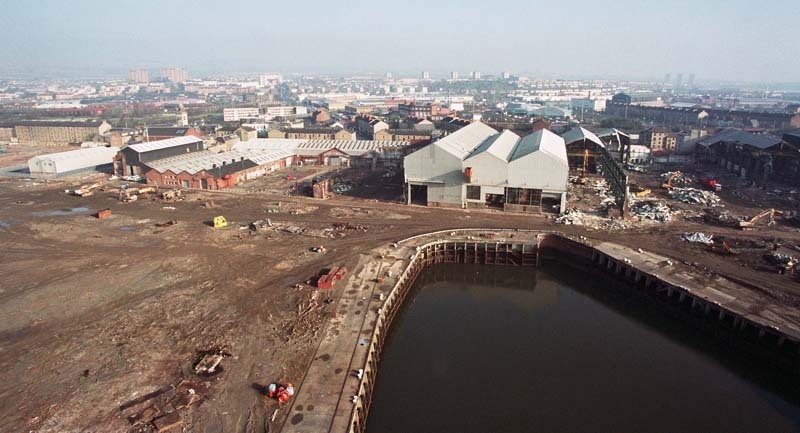 The iconic site was where some of the world’s most famous ships were built, including the RMS Queen Elizabeth 2. 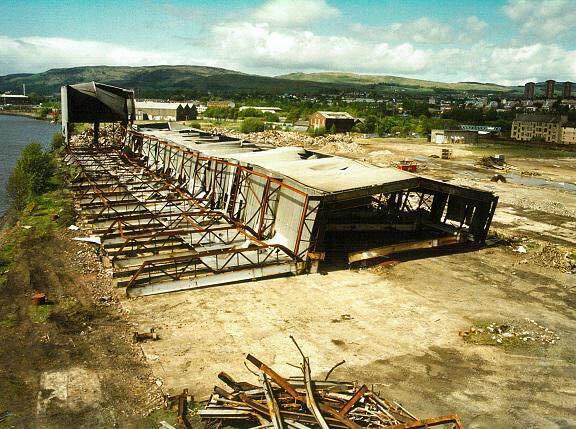 This project involved the demolition of engineering factories and offices on the 83 acre site. Included in the project was the removal of floor slabs, foundations and basements. 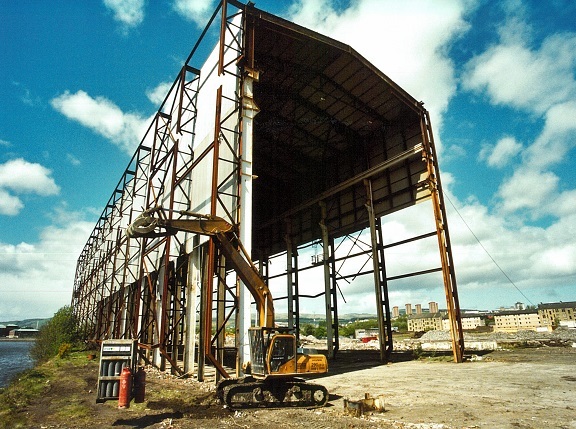 This was a specialist demolition project which involved the demolition of high level structures (up to 50m in height) and cranes up to 60m in height. A listed crane was protected throughout the works on-site and remained as an industrial landmark. As part of the project, we undertook an asbestos removal operation, as well as removing other hazardous substances and undertaking decontamination activity. 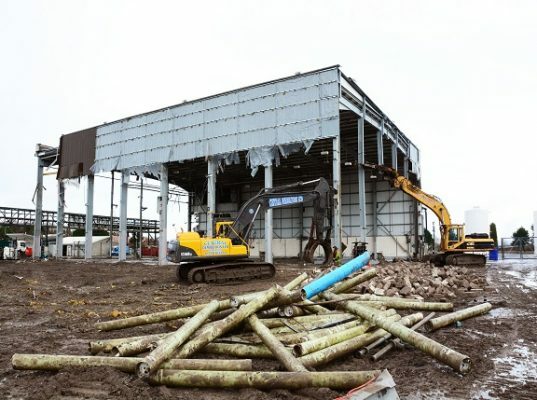 There was a significant volume of asbestos cement sheet roofing (20,000m²) to be removed, as well as asbestos lagged pipework and asbestos insulation boards. All asbestos works were undertaken by our one of our fully qualified and experienced asbestos teams. In addition, we recovered several assets from within the buildings. This included old machinery and plant items, which were salvaged and re-sold – raising good returns. We also salvaged the steel buildings. 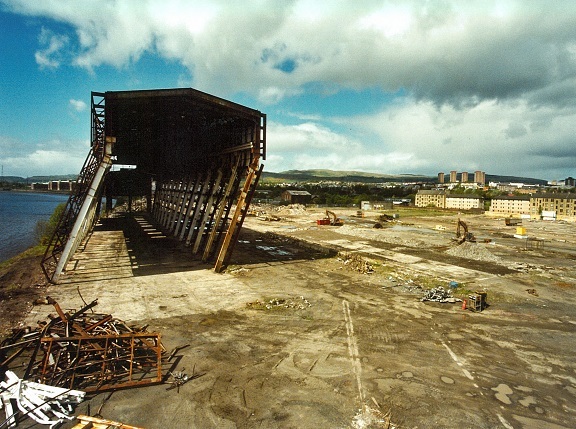 The site did contain more than 30,000tons of steel overall, and all steel works were carefully planned and executed. It did help that our site supervisor for this project was our resident steel specialist – so he knew exactly what was required of him and his team. 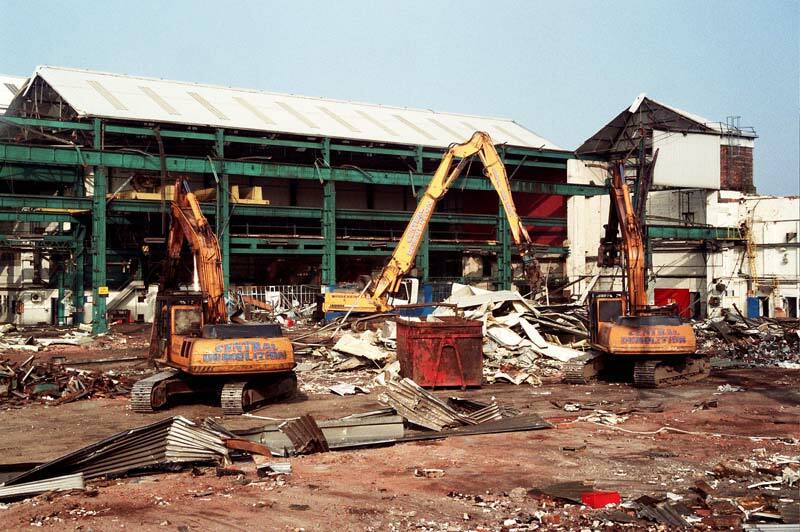 Further to the demolition of the structures on-site, we carried out on-site recycling. We processed all concrete, bricks and other materials arising from our works. 160,000tons of concrete and masonry were crushed on-site to 6F2 specification. 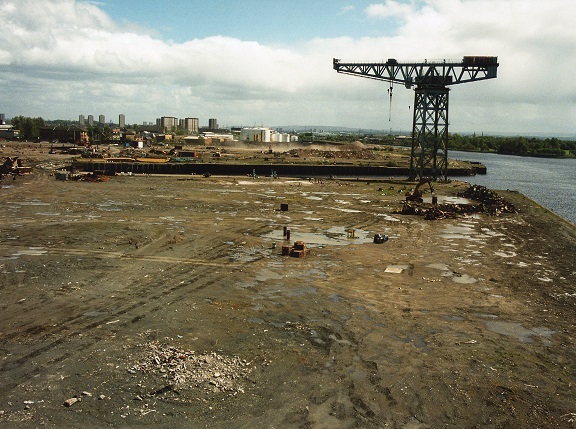 After the recycling process was complete we cleared the site, leaving the former shipyard ready for redevelopment. The project was completed safely, on time and within budget. Our clients gave us a glowing recommendation following the successful completion of the works.